<< Necrontyr Modular Hill available NOW!! 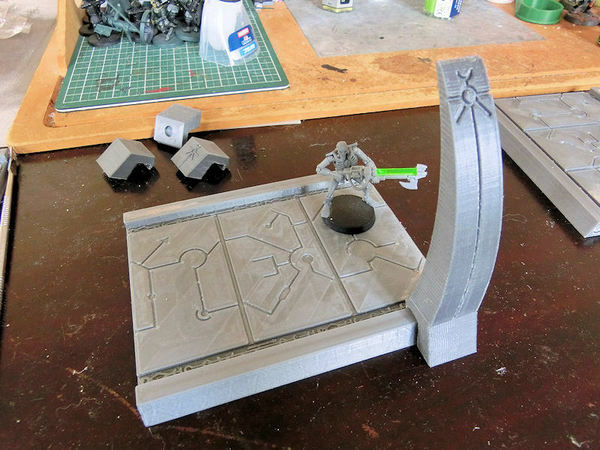 A quick preview of the upcoming Necrontyr Pathways & Bridges set, with a simple straight section and the curved column. Didn't it print cleanly? The last few optional pieces are coming off the printer now, and then they hit the paint desk!